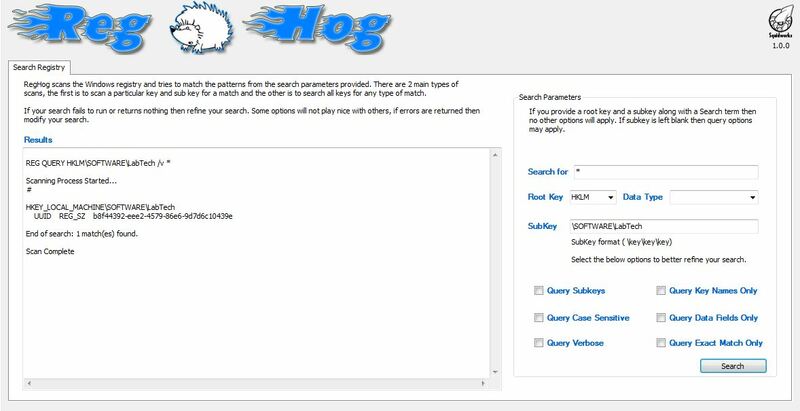 RegHog is a Windows registry search plugin for the LabTech RMM platform. 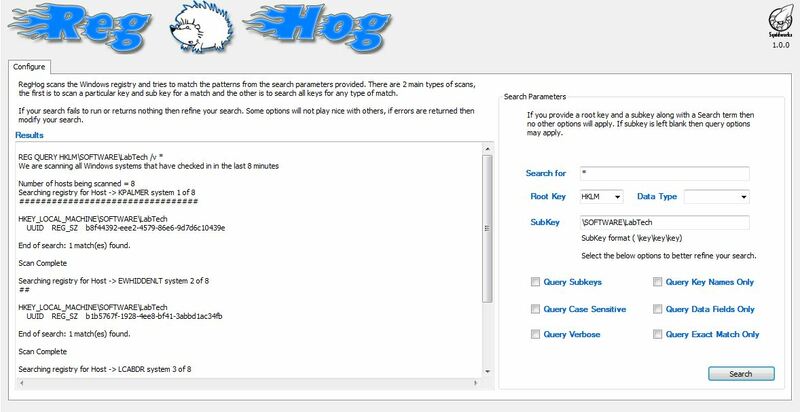 The tool allow you to search the Windows registry of a single computer or across the entire client. The plugin provides different search query options to help you better define and refine your search for the best results returned. The results are returned directly to the plugins display window where you can monitor the replies from the systems the the queries are running on. Type “REG QUERY /?” for usage. Great plugin! I’m trying to search for a KEY not a VALUE. Is there a way to search for /f instead of /v?